Well, I bought the small bottle (no pump), hadn't had the chance to smell it (I am fussy), and I was concerned about the acne causing properties (no one wants spots). It is rare I suffer from anything other than minor pimples yet I still feel it's important to be careful about what you put on your skin, acne-prone or not, and there is absolutely no way I am putting this oil on my face, ever. Not having a pump is no big deal, the oil doesn't rush out and it's easy to get just the right amount. It feels luxurious when applied, working into the skin beautifully without any residue, and leaves it feeling perfectly soft. The smell is lovely - a delicate, soft scent that doesn't linger and mix with your perfume. The majority of ingredients used are of natural origin (even the Isopropyl Isostearate), containing oil from 6 plants (Borage, St Johnswort, Sweet Almond, Camellia, Hazelnut, Macadamia), and vitamin E. The oil is free of silicones, preservatives and mineral oils. Huile Prodigieuse is designed to nourish, repair, and soften the skin or hair while never leaving it greasy. This is one of those products I adore yet feel cautious about recommending. For me this product works like a dream; my skin feels delicately smooth. The whole process of applying the oil and working it into the skin feels like divine opulence. 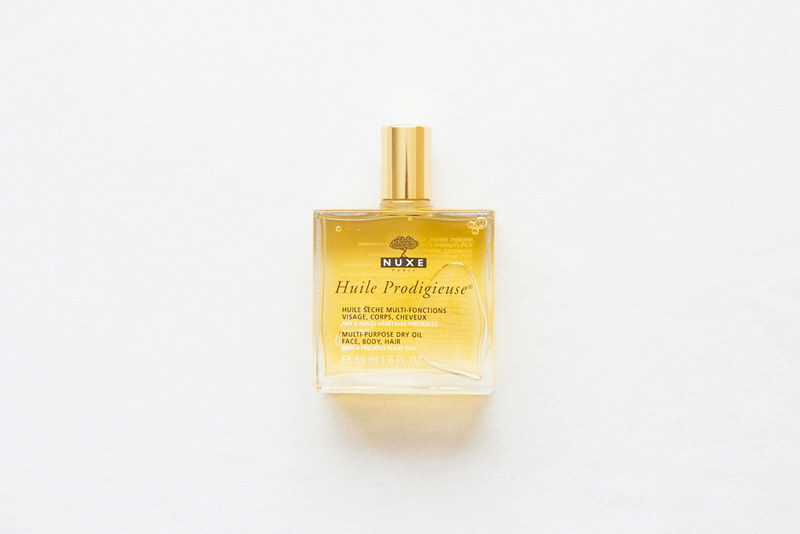 Have you tried NUXE Huile Prodigieuse? * If you're interested in learning more about ingredients used in skin care products, I found an incredibly useful list here. Perhaps I should pick up a sample of this. I've been more interested in oils lately and this as well as the Caudalie Divine Oil have been on the list. I love this dry oil! Smells lovely!